I was unaware until that moment how much it bothered Naomi, not so much that she shared a room, but that they shared everything… even socks. There was a part of her that felt like she didn’t have something to call her own and she wanted that very much. For her, it was an unfulfilled need, but one I didn’t know existed until I read her note. As ministers, we want to do our best to meet the needs of our families and community and sometimes we move forward with programs or ideas that we feel would best accommodate these groups. But sometimes we miss a valuable step; we forget to find out what needs they actually have. One-size-fits-all, cookie-cutter ministry doesn’t work for this very reason. Each church, each community has its own unique set of needs that need to be met. As you consider transitioning your church to a family ministry focus, it is important to consider the following need areas for your context. Felt needs – These are the “obvious” needs such as the need for food, shelter, clothing, and belonging/love. Churches are often pretty good at identifying and meeting these types of needs through outreach, small groups, and activities. However, meeting these needs without taking the next step to meet deeper needs, ultimately leaves people still spiritually needy. Spiritual needs – These needs are often less obvious and need a bit of detective work to discover. The need for discipleship, mentoring, and accountability often fall into this area and require intentionality of both the staff and lay members to meet them. In his article “9 Signs Your Church is Ready to Reach Unchurched People,” Pastor Carey Neiwhof says it’s important to have “easy, obvious, strategic and helpful steps for new people” who come to the church. In my opinion, it is just as important to have those things in place for members who regularly attend so they can continue to grow in their faith and pour that faith into others. Creating paths for growth, discipleship, and mentoring will meet the spiritual needs of the church in ways the senior pastor can’t do from the pulpit on Sunday morning. 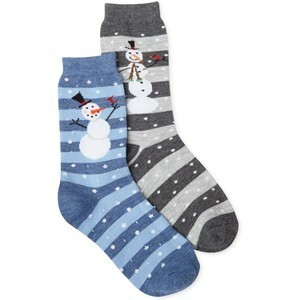 Unknown needs – Sometimes we have needs we don’t even know exist (such as socks for our daughter). It is either because the need has never been expressed or the need isn’t even known. One prime example of this is the need for intergenerational relationships and corporate worship in the local church. More and more studies are showing that these needs are intrinsically tied to future generations remaining in church, but very few churches recognize these areas as needs. In the realm of family ministry, the need for discipleship in the home and the parents to serve as the primary means of faith formation has been demonstrated through Scripture and studies, but many don’t even know the need exists. Making your congregation and leadership aware of these needs through information, resources and God’s Word will do much in opening doors for transitioning. Transition always takes time. But before you can get where you are going, you need to know where exactly that is. Take some time to talk to your congregants, families, and community members and ask what needs they have. You might be surprised at what you find out. And you might end up buying personalized socks for Christmas morning.